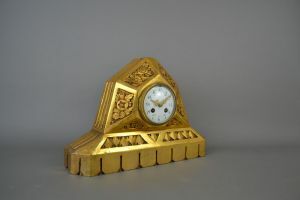 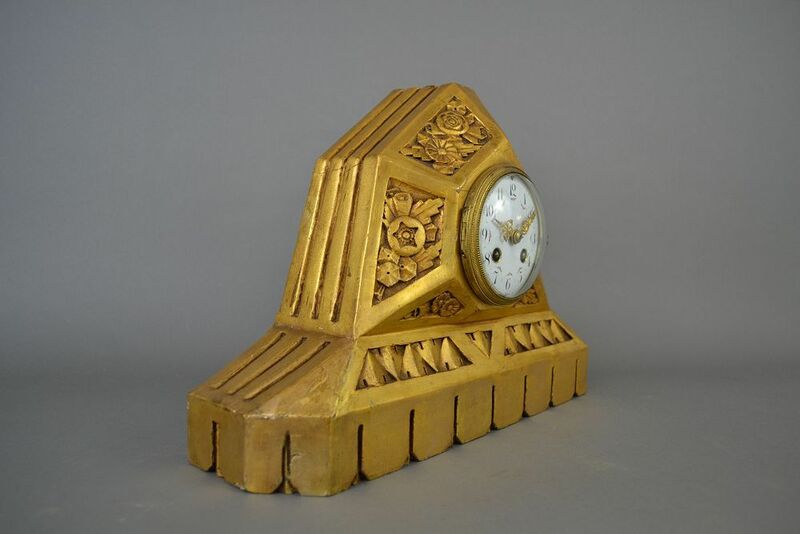 Art deco gilded wood clock. 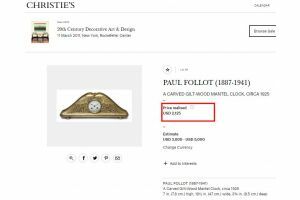 Follot ? 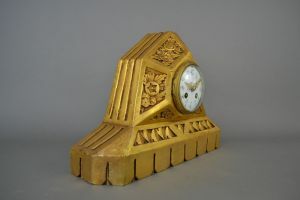 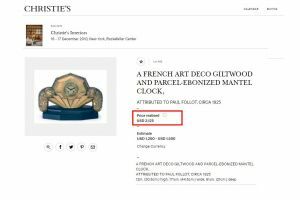 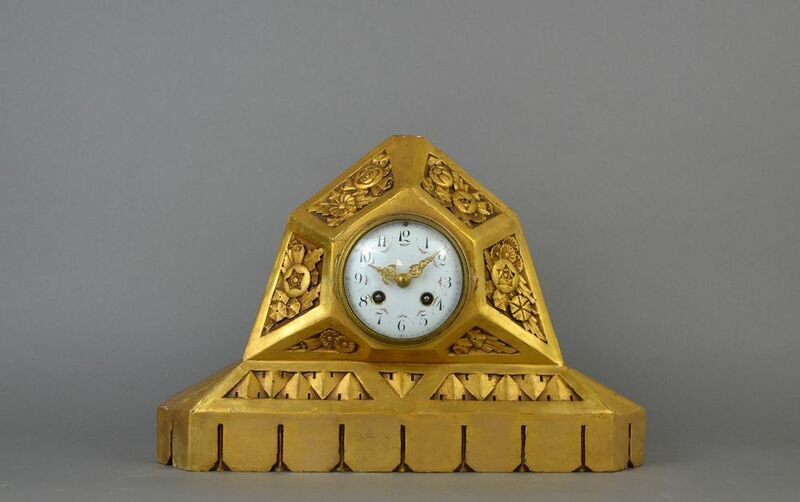 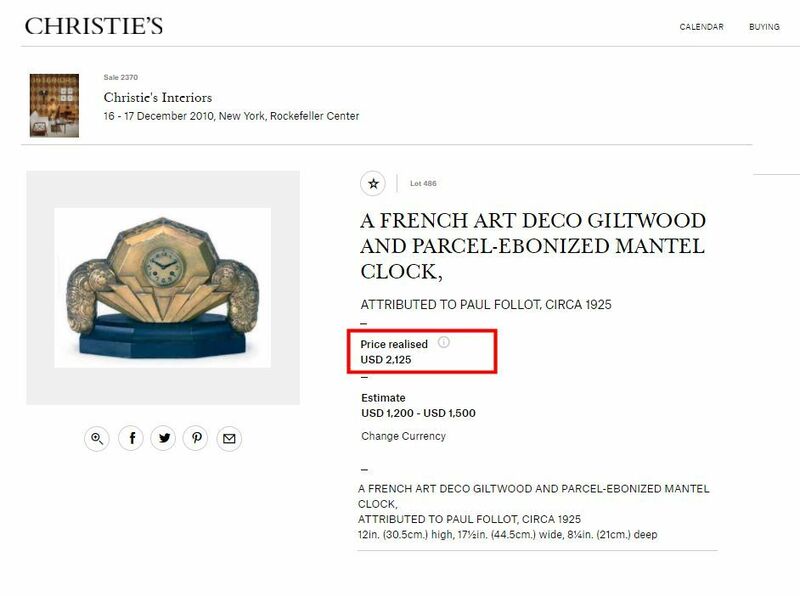 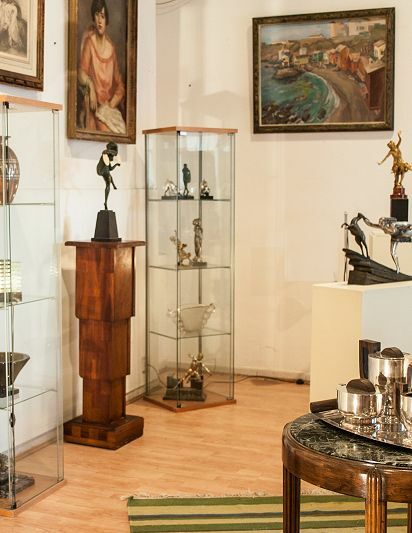 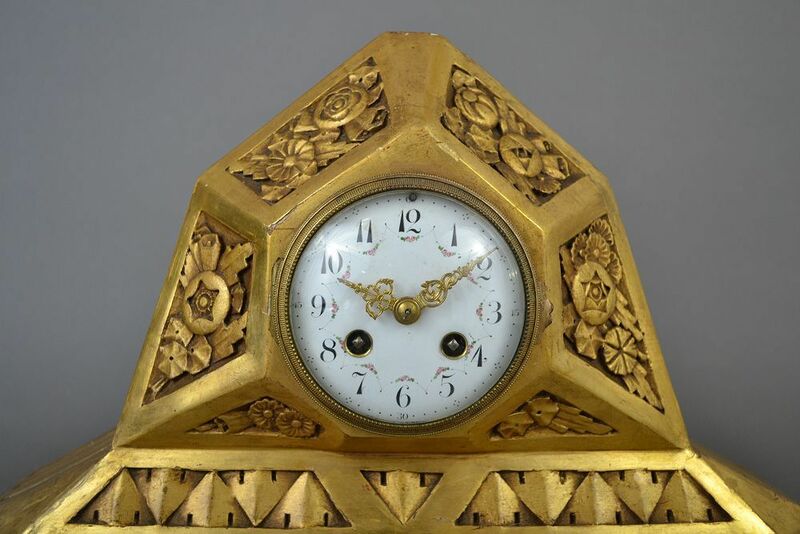 1925 art deco gilded wood clock. 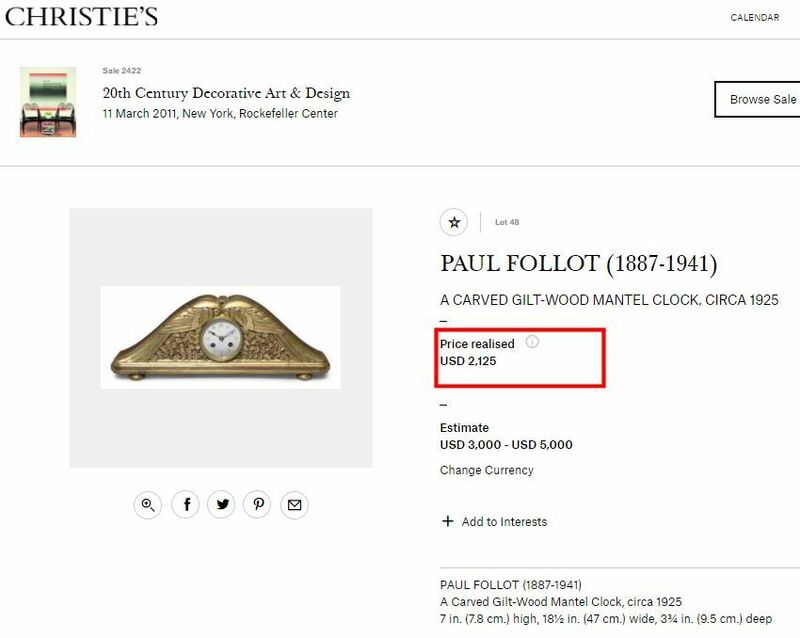 Very close to Follot clocks. 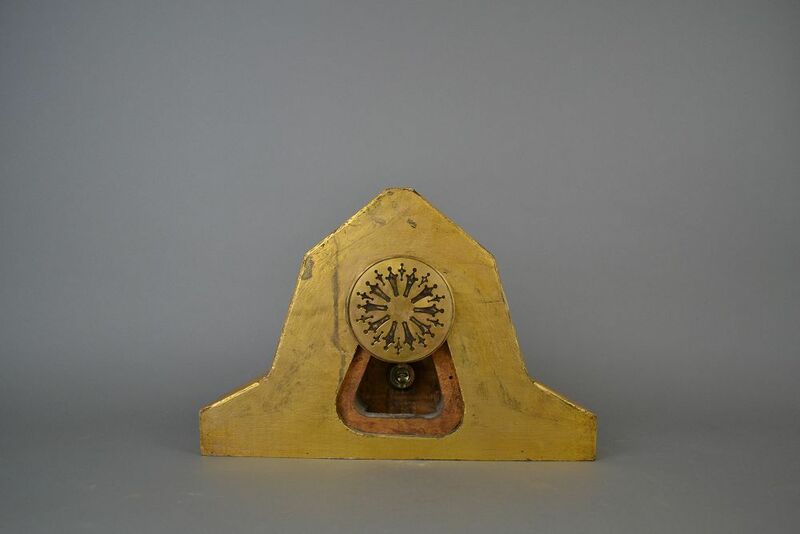 Perhaps a cover missing on the back.... but not sure as there is nothing to attach it. 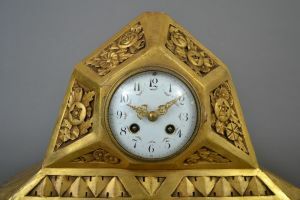 Clock works bust should be serviced. 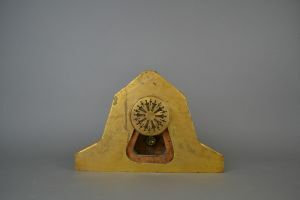 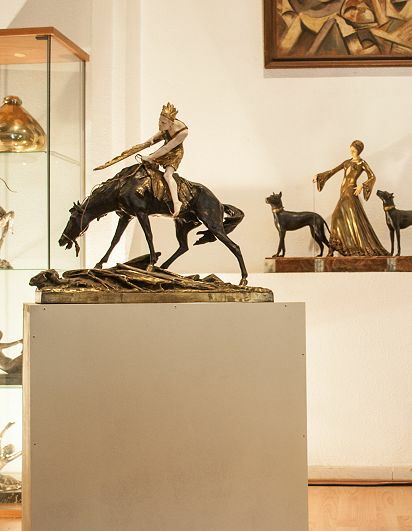 41cm x 13cm x 28cm high.